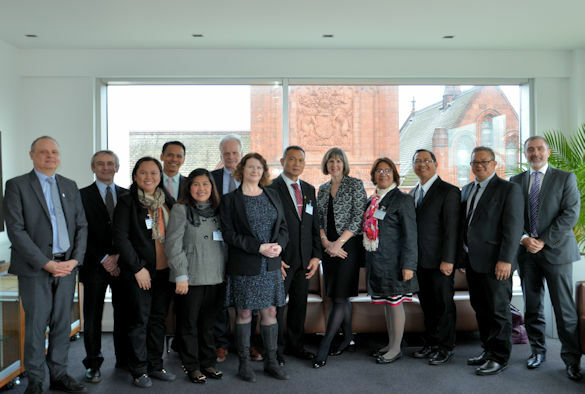 Distinguished guests from two Philippine universities – Bicol University and Central Luzon State University – visited the University this week to finalise details for a collaborative transnational education (TNE) programme in sustainable food systems. The new collaborative TNE programme is supported by the British Council and the Commission on Higher Education (CHED) and forms part of the Philippine government’s ambition to advance the country’s higher education system and the training of its future workforce. The University is one of only ten UK universities chosen to develop joint, dual award degrees in niche disciplines that are currently not available in the Philippines. Under the scheme, the University will offer a two-year dual award Masters degree in sustainable food systems with Bicol University and a dual award PhD programme covering research topics underpinning sustainable food systems with Central Luzon State University. Both programmes align very closely with the University’s cross-faculty Centre of Excellence for Sustainable Food Systems (CESFS) which covers the breadth of food systems research, from crop and animal sciences to supply chain management, food consumption and consumer behaviour. It is anticipated that the initial cohort of students on these new dual award programmes will be Philippine HEI staff seeking to gain new qualifications and recruitment will begin in October 2018. 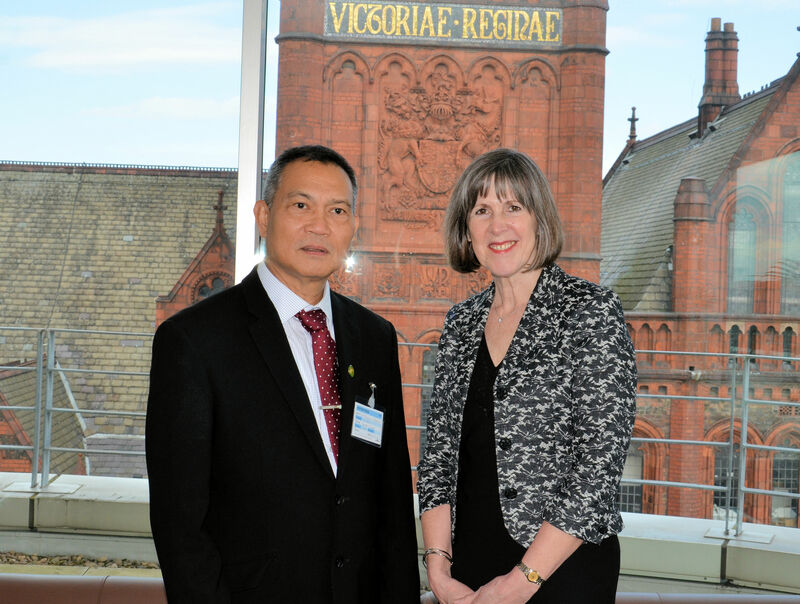 Professor Martin Mortimer, from the University’s Institute of Integrative Biology (IIB) who is one of the academic leads for the collaboration, said: “It is very exciting to see this collaboration come to fruition after 18 months planning by myself and Professor Steven Edwards (IIB) and we very much look forward to welcoming research students from the Philippines to Liverpool”. 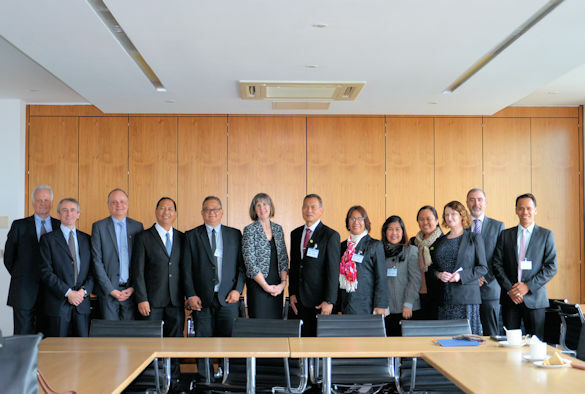 The Philippine delegation included the President of Central Luzon State University, Dr Tereso A Abella, along with research deans and TNE leads from both institutions. As well as meeting with the Vice-Chancellor, Professor Janet Beer, EPVC Professor Gavin Brown and EPVC Professor Anthony Hollander, the delegation had more detailed discussions regarding research topics and recruitment processes with researchers from the Centre of Excellence for Sustainable Food Systems and faculty throughout the university.